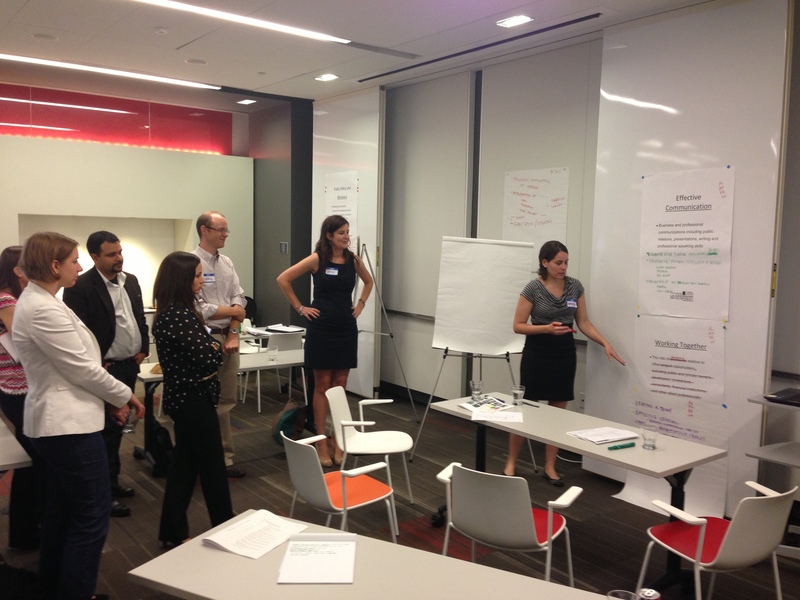 The first session AIA|DC’s inaugural Christopher Kelley Leadership Development Program was an inspiring experience. It was overwhelming to be surrounded by such an amazing group of talented leaders. Better yet, the group’s atmosphere exuded camaraderie and everyone was very eager to share, in not only enriching each other’s education, but also in a genuine desire to collectively become the emerging leaders our profession needs. 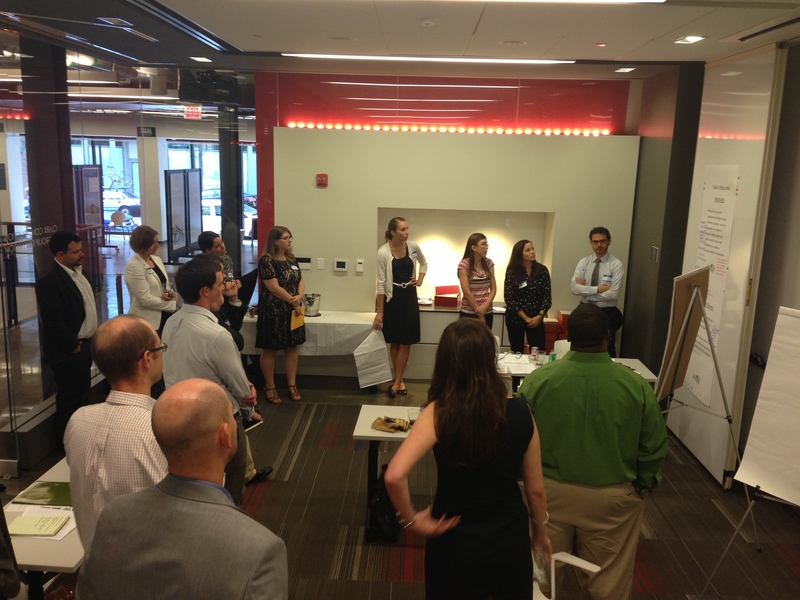 A warm welcome by AIA|DC’s Chapter President David Haresign, FAIA officially initiated the program. David was clear in the high expectations which we would need to achieve in order to honor Christopher Kelley’s memory. At the same time we were introduced to our mentors during this adventure, CKLDP Committee chairs Sean Stadler (Principal, WDG Architecture), Ryan McEnroe (Project architect, McGraw Bagnoli Architects) and Diane Leeson (Architect II, Perkins+Will). It is easily seen why the trio are perfect role models for this program, they collectively exemplify a calm confidence that’s contagious, more so they are superbly dedicated to our success. After a brief discussion on schedule and goals, a presentation by each of the participants allowed us to get a feel of whom we will be working with during the next eight months. The diversity of the inaugural class is contributes to the depth and distinctiveness of the program. Attendees come from varied professional paths, years of experience and cultural backgrounds. Licensed architects, recent graduates, sole-proprietors, firm associates, intern architects, interior designers and project managers are but a few of the many titles that can be attributed to the group. All of these are veritable leaders within their respective firms, the cream of the crop, and collectively exemplify the next generation of DC’s architectural leaders. With little doubt, the lessons that are going to be imparted by the program, will help the 2014 Class continue to empower their colleagues and enrich their corresponding practices? The first session included keynote presentations by Shannon Kraus, FAIA (HKS), Doug Parker (The Greenway Group) and Jordan Goldstein (Gensler). All of which are in leadership positions within their own practices and it was greatly encouraging to listen to how invested and supportive they are of our program. Between all of them they discussed the amplitude of leadership types, paths, skills, the importance of our role, the opportunities and the challenges it presents. Additionally, the presenters showed us practical examples of how they lead effectively within their practices, innovate and handle change. After it was all done, I left the class with a myriad of ideas that I intend to share with my colleagues. I feel now that a window has opened itself towards a broader perspective of our role as professionals. The sense of urgency in applying these teachings will be impossible to ignore.